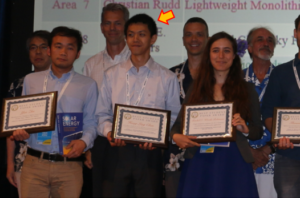 This Best Student Paper Award recognizes outstanding work by students in each technical area. In addition to judging the technical content of the student’s work, oral presentations and the student’s role in the work are assessed. One “Best Student Paper Award” is given out for each technical area of the WCPEC-7.